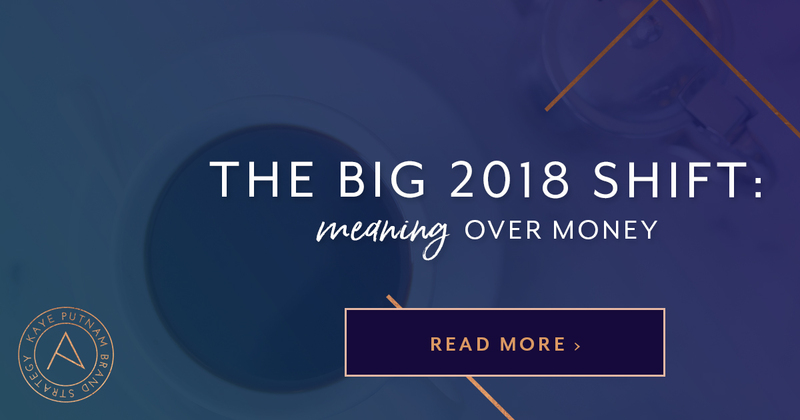 With a brand spankin’ new year here, many branding and marketing pros like myself are making predictions for business trends in 2018… and guys, I’m *REALLY* excited about mine. 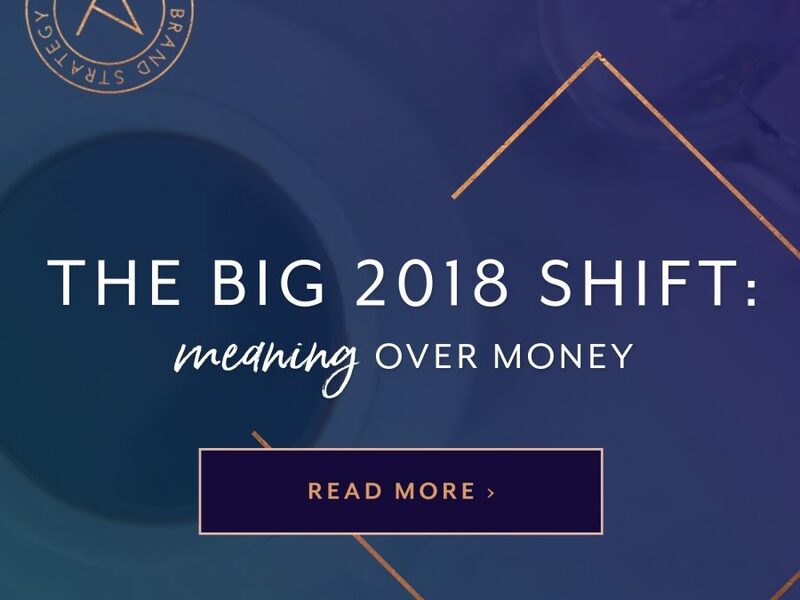 In 2018, more entrepreneurs will make massive shifts in their businesses to create space for meaning. 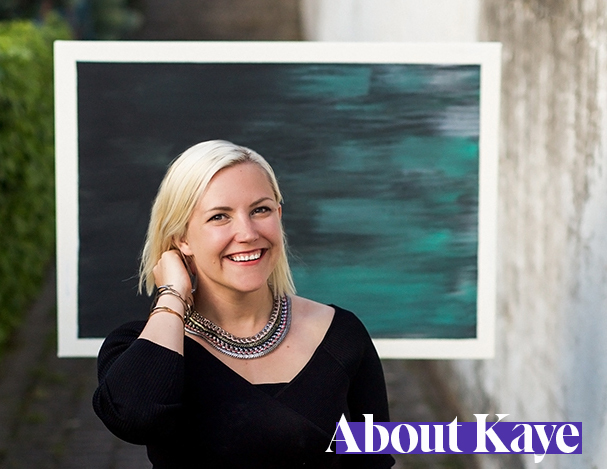 Let me introduce you to a few entrepreneurs who are ahead of the trend – and crushing it. Tara Gentile transitioned away from her Quiet Power Strategy brand and courses in favor of a community-driven membership called Co-Commercial. In her 2017 review, she explained her desire to put her values at the center of her business model instead of a by-product. Scott Oldford (one of my clients) recently shut down his entire million-dollar ‘information’ business, LeadCraft, and replaced it with a high-touch and transformational program called the Relevancy Engine. Now, considering I’ve built a business around helping entrepreneurs create their most genuine brands, it’s *possible* that these observations are sliiiightly biased. 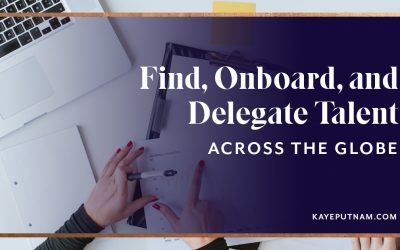 How do I make a difference in my clients’ lives? We’re all seeking answers to the same age-old questions… and it’s no wonder why. I mean – if it’s all about the money, what’s the sense in running your own show? Working for someone else comes with much less hassle and risk. Clearly, income isn’t the only (or even the most important) reason for running your own business. For those of us creating our own realities; our own incomes; our own lives – it makes sense to stop every now and then and question the path we’re on. It’s also totally possible that these introspections are a result of where I’m at with my current business, where I’d like to be, and where my mentors already are. I’ve nailed down the basics when it comes to lead generation, sales, value, and revenue. But as my business matures, I’ve found myself re-asking those same questions to be sure that my end goal is always aligned with my journey. One thing that I’ve become increasingly aware of as I grow my business is that I’m not the greatest at celebrating my ‘wins’. I’ve had them, sure. 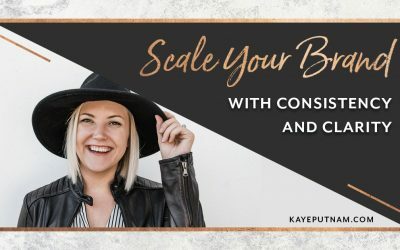 5-figure launches, consistent 5-figure months, a thriving email list of over 12,000 subscribers, and an online quiz that’s been taken over 65,000 times. But alas, these things don’t always *feel* fulfilling, because these measures of success aren’t necessarily relevant to my long-term goals. As an online entrepreneur, it’s critical to continually shift your performance indicators to keep everything in perspective. Instead of income, measure your impact. Instead of list size, measure the love notes. Instead of followers, measure the content you create. Instead of sales, measure the transformation of your clients. But, hear me out… Maybe it does. 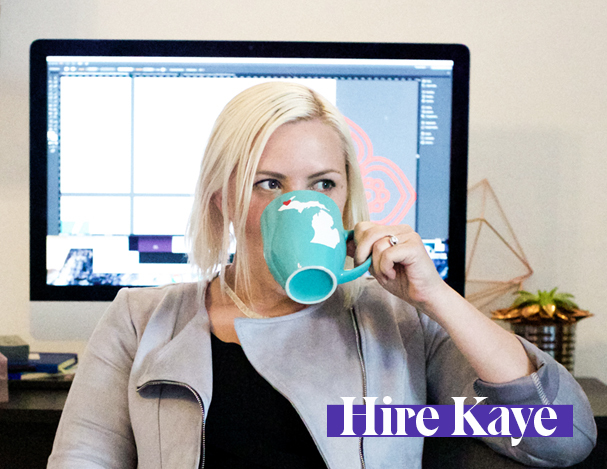 After all, when you’re showing up as your truest self in your brand, you’ll naturally attract your ideal clients. That means more projects you’re passionate about and WAY less hesitation. Plus, when you’re doing your best work, it shows. You’ll inevitably see better responses, more referrals, and – you guessed it – bigger bucks! 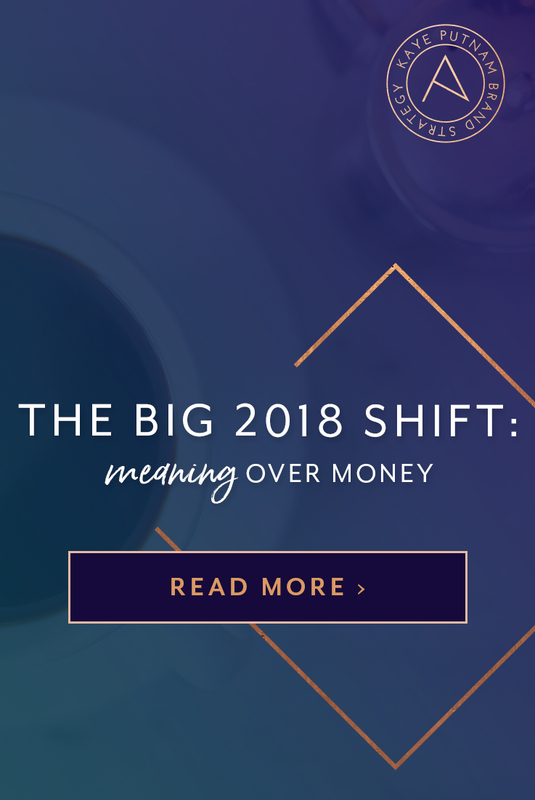 As I’m restructuring my own core offering for 2018, I’m turning my attention back to the basics of my brand – which, fittingly, is exactly what I’ll be helping ambitious entrepreneurs do with The Clarity Code. Just like we do as humans, our businesses grow and change with time. It’s absolutely crucial to have the core truths of your brand defined – and not just in your brain. These elements need to live somewhere that can be easily referenced by both yourself and your team. (Trust me, once you have a team in place, it’s imperative that they understand and embody those truths, too.) This makes it easy for everyone to stay aligned and prevents you from scrambling to edit content and micromanaging your team. It’s also important to know that these truths go a whole lot deeper than just a product or service you offer, or the way your brand looks. That’s only the tip of the iceberg, while the most meaningful parts of your brand are below the surface. In my own quest for meaning, these are some of the truths that will guide my growth in 2018. Hands down, one of the most powerful things you can do for your business is to uncover your unapologetic belief statements. This creates a rock solid foundation for easy decision-making, content creation, and ingenuity. We believe that the untapped human potential (the inner-genius) is the key to changing the world – both for ourselves and others. Effective and consistently aligned branding is what helps unleash this hidden power. We believe that our own decisions have a ripple effect and ultimately change not only our own lives, but those around us as well. By achieving our own greatness, our families, extended families, clients, and friends all benefit. When you’re serving the world in the way you’re meant to, you act as a lighthouse, uncovering possibilities all around you. We believe that humans are on a mission to discover their own truths, and to have those truths seen and truly understood by others. Lucky for us, this can be done through the process of branding! Your inner-values are a set of aspirations that you try to live up to each day. They allow you to make value-driven decisions on the daily, and serve as guideposts for your entire team. Self-truths. For my team, you could say this is our ‘flagship’ value. We seek to illuminate self-truths by teaching people things about themselves and their businesses that they’ve never had clarity on before. And, of course, we also strive to continuously clarify our own messaging and brand. Smart processes. This is something that touches every aspect of what we do. We create proprietary, repeatable processes for defining brands on a deep level, but we don’t stop there. We challenge assumptions and back our ideas with testing, research, and expert coaching. BIG ideas. There’s nothing small about transforming a brand. The work we do isn’t about surface-level tactics or minor adjustments. It’s about making space for dramatic inner- and outer-change. It’s about being open to being your best and bravest self, and showing up unabashedly to the world. Agency. We are all capable, powerful individuals with our own unique zone of genius. We recognize the power of staying within our zone as much as possible, as it’s where we do our best and most passionate work. We believe that everyone has this inside of them, and that you don’t need permission to find it and use it. Flexibility. For us, it isn’t about working to live or living to work. 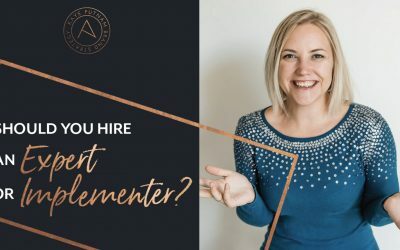 We build spirited businesses around the kind of life you want to live, offering the flexibility to do your best work and live the life you always dreamed of. We believe in living and working by principles, not steadfast rules. Once you’ve locked down your direction, how will you measure success? If we’re moving away from “worthiness indicators” like the size of your email list or how many zeros are in your annual revenue, what can we measure instead? Client satisfaction. Obviously, as a service-based professional, the happiness of your client is key. I’ll be monitoring this with post-project feedback forms, and tracking brand metrics over time to show growth. Content published. They say content is King. Well, our king is building a legacy through the body of work that we’ll share – on our own site and communities, and elsewhere! Web visits. This is about so much more than numbers. It’s visibility. It lets you know that people know who you are and how you’re useful. It’s how many pages they viewed, how long they stayed, if they came back. These are all indicators of a real connection. I’m not much of a gambler, but I’d be willing to put my money where my mouth is when I say: You don’t have to sacrifice meaning to make money. And in fact, your bank account isn’t the only thing that’d benefit from making space for meaning in your business. Your happiness and day-to-day life would change for the better, too. So what do you say we focus less on the monetary goals for the New Year, and more on building a brand that sets your soul on fire? You’ll be in great company, with so many intentional entrepreneurs on the rise. And trust me, you won’t miss the less-than-in-love gigs. Not even a little bit.